Search all houses for sale in Rutherford County NC including our small towns and charming communities of Rutherfordton, Spindale, Forest City, Lake Lure, Chimney Rock, Bostic, Golden Valley, Sunshine, Cliffside Mooresboro, and Ellenboro. We have included a special section on short sales, NC foreclosures, and REO properties. Rutherford County, NC has the most diverse selection of Real Estate in the southeast. If you are looking for Farms for Sale, land, lake houses, or mountain cabins please call the Real Estate Experts at 4 Seasons Homes and Land for a no-hassel consultation. 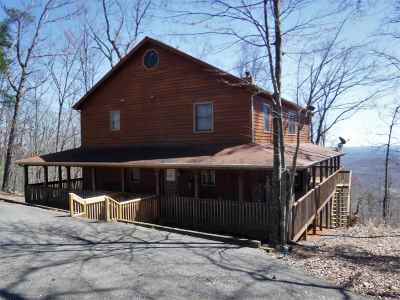 Looking for a home or land in Rutherford County NC? Whether a first-time or experienced Home Buyer you can use Quick Search or Map Search to browse an up-to-date database list of all available properties in the area. If you prefer, use our Dream Home Finder form and we will conduct a personalized and more detailed search for you, including all Western NC foothills real estate for sale and the horse country of Tryon in Polk County. Whether you want a North Carolina home, condo, land, cabin, log cabin in the North Carolina mountains you will find it here and we can help make your dream into reality. Planning to sell your home or land in Rutherford County NC? Whether you plan to sell now or in the future, nothing is more important than knowing the fair market value of your home. We would love to help you with a FREE Market Analysis using the most recent and accurate comparable sold listings to help you determine the fair market value of your home. No matter the reason for visiting our website there is something for everyone. Special sections with community information, school information, foreclosure, short sale and REO section, an up-to-date informative blog, and much more have been included. This website has been designed with YOU, the consumer in mind, with the goal of delivering information in a simple to use and understand format. We hope you come back often and choose us as your website of choice. Please check out our About Us page to learn more about our company and why we should be your full-time professional REALTORS® any time your are looking for homes for sale in Rutherford County NC.